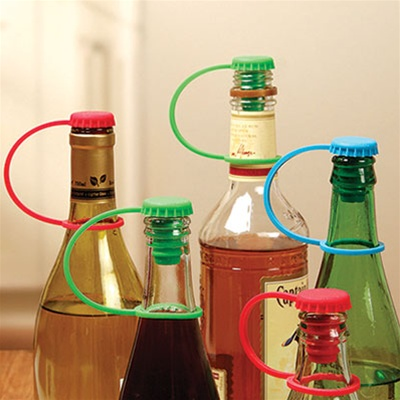 Silicone bottle stopper fits all bottles securely and is always on hand. Sold individually. Comes in three colors: red, blue and green.